When the Pulse fal’Cie (aka Evil God) was discovered in a small happy town called Bodhum, the people who were in the town was accused of being tainted and the Sanctum (aka the government) decided to purge them by sending them to their death under the guise of “relocation”. 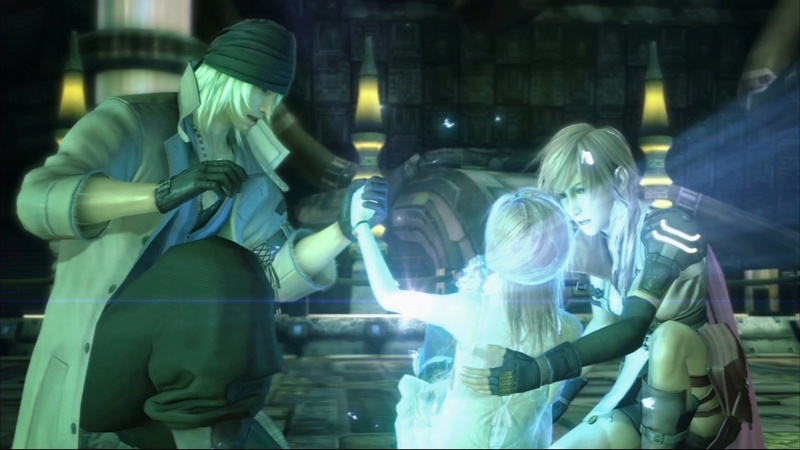 While being transported via a train, Lightning successfully rescue the victims and together with her companions, she made her way to Pulse fal’Cie to destroy it. However, the Pulse fal’Cie placed a curse onto them and as a result they were branded as the terrorists of the Sanctum. With a ticking time bomb of being turned into a l’Cie (a zombie) if they failed to complete the mission imposed by the Pulse fal’Cie and also the constant terrorist hunt from the Sanctum, Lightning and her comrades will have to fight their away to combat their unfortunate destiny. The story are not really exactly mind-blowing, but interesting enough to make you keep going on. Every character’s backstory are explored, which explains their motives behind their actions. The good thing about the story is that the world, lore and the settings are developed richly. As a result, the world of Final Fantasy XIII feels real and alive. However, most of the lore and history are only readable in an encyclopedia called “Datalog”, which located in your menu screen. Not much of the lore and history are mentioned during normal gameplay. If you never read through or have no desire to do so, there is simply no way to understand the current political standing in the world. Heck, I’m 100% sure that you will have no idea what the heck is fal’Cie, Pulse, Sanctum etc since a lot of these lore-terms are heavily used in the game. As a setback, you will be pretty much be lost and confused about the lore and history throughout the game. 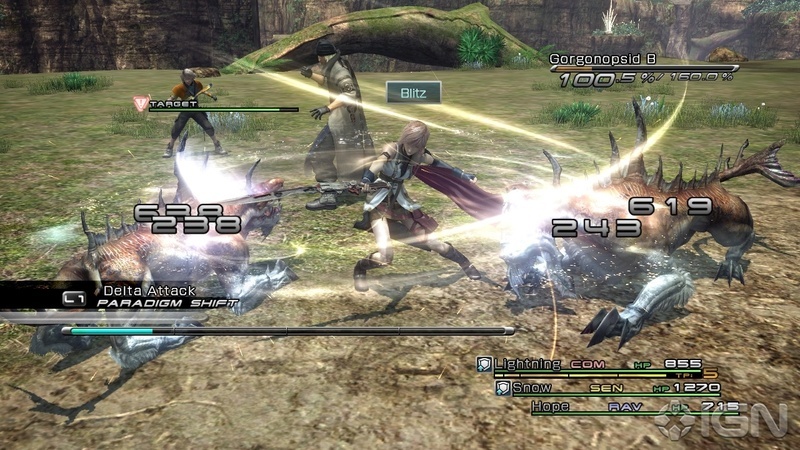 Despite its criticism regarding its battle system that you only need to hold the Up and X button to beat the game (which is not true by the way), the battle system is actually well-thought out that for the first time in any Final Fantasy game you actually have to strategize for each and every random battle that you encounter. Instead of your standard levelling, you have a special levelling system called the Crystarium, which is slightly resemble to Final Fantasy X’s Sphere Grid. There are a total of six roles (jobs) for every character that you can mix and match during battle. Upon defeating the monsters, you will gain CP, which is used for levelling up the Crystarium to gain new stats and skills. However, for the most part of the game, despite having six roles, you were only able to use three roles at a time. You will only be able to use all six roles when you’ve reached the final part of the game. You only encounter the enemies by touching them on the field and a maximum of three characters can only be used during battle. However, you can only control one character (which is the leader) while the remaining characters will be controlled by AI. The ATB (Active Time Bar) makes a return this time, but you can enter your commands while the ATB is charging. There are no mana points (MP) so you can use any skills or magic to your heart’s content. Your HP will be fully restored after each battle. Each enemy has a meter called a chain counter, which if you continuously attack the enemy and the meter fully fills up, it will stagger the enemy. Enemies with staggered condition will have lowered defense and has a higher chance of being interrupted your characters. The Paradigm system will allow you to set a set of roles for each characters in which you can easily change your roles during the battle to further strategize and combat your enemies. Proper set up is required to combat different enemies and situations throughout the game and the quicker you complete the battle, the higher your score will be determine which in turn will reward you CP accordingly. Finally, there is a retry system incorporated that should you lose the battle, you can retry the battle again without the fear of losing your progress! They should actually implement this system for the future Final Fantasy games! The Sphere Grid from Final Fantasy X makes a return…. NOT! Ever since Nobuo Uematsu’s departure from Square Enix, this is the first Final Fantasy game that Nobuo Uematsu did not contribute anything at all. Instead, Masashi Hamauzu was chosen given his experience of working as a co-composer for Final Fantasy X (and man, FFX soundtrack is awesome!). There are some amazing tracks composed such as the battle theme “Blinded by Light” and the first-ever dungeon vocal soundtrack “The Sunleth Waterscape”. The music are mostly relaxing and delightful to hear, but unfortunately most of the music did not leave a deep lasting impression onto the audience. Heck, the ending theme is unimpressive that despite completing the game a few times, I still can’t recall how the ending theme sounds like. There are no doubt some enjoyable moments, but I would definitely not get my hands on the original soundtrack. Square Enix has always been a great role model and also one of the pioneers to showcase amazing graphics for JRPGs. Being a game that is released on 2009, there is absolutely no question that Final Fantasy XIII is one of the games that has the best graphics and presentation for Playstation 3 back in the days. Almost everything looks realistic and amazing, including the battle system! The battles are so flashy that it is amusing to watch them fight and almost every location’s design is highly detailed and mesmerizing. 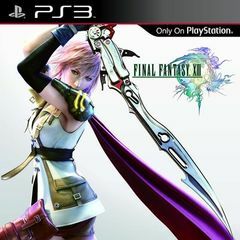 If graphics are everything to you, you will definitely not be disappointed with Final Fantasy XIII. Everything is so flashy that killing monsters make you feel like a badass! With it’s not-so-amazing story but impressive graphics, this game is either a hit or miss for the player. You will be awestruck by the beautiful and creative world design. For the first time in many years, this is one of the first RPGs that you don’t spend most of your time spamming the attack/heal button during and after battle. This is actually the first Final Fantasy game that can be prove to be highly difficult if you failed to strategize and set up your roles properly. 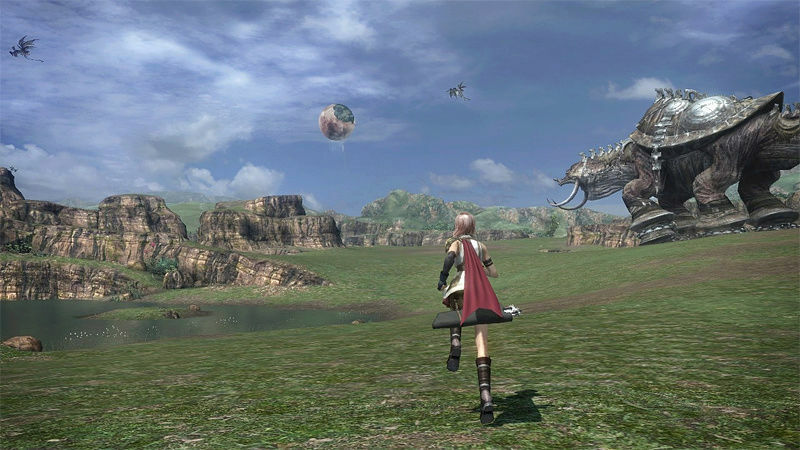 However, Final Fantasy XIII is the first Final Fantasy game that has disappointed most of its long-term fans despite it having a unique battle system. 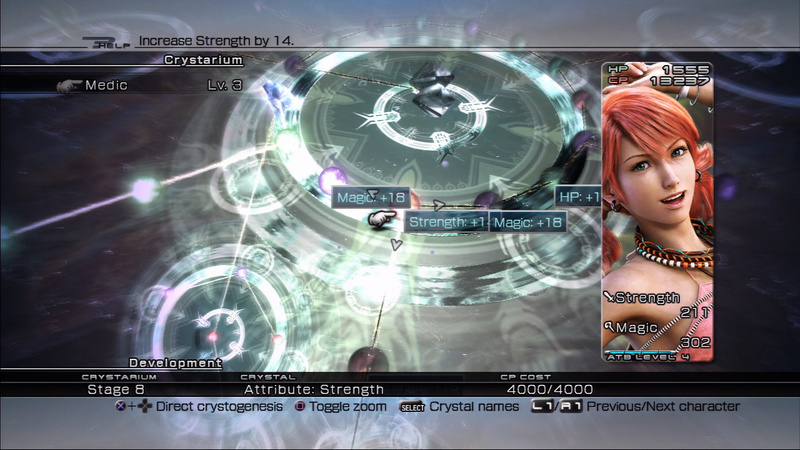 Nevertheless, Final Fantasy XIII is still a good game that you should play if you decided to give it a try. I have to confess that I’ve actually completed this game a few times. Despite some of its shortcoming, you can’t help but feel being drawn back to this game and play it again. For that reason, I will definitely replay the game for a second (or my case, fifth time? I can’t remember as I’ve lost count) just to sate my Final Fantasy fever. Wow I wasn't expecting FF XIII as your next review! I like the game, but it pales in comparison to V through XII. Thanks for reviewing the game @ryoutak! This was the last Final Fantasy game that I thought was enjoyable. Nice review once again @ryoutak! You are such a wonderful reviewer. The series should have ended with XIII. The series has been on a death spiral ever since. Nice review but I was never a fan of the XIII trio. Excellent review! I miss the old-school Final Fantasies. Con you reviw Finel Fintasy XIII-2? It liek so much goodly! @AussieGamer I think he means "Can you review Final Fantasy XIII-2? I like it so much!" A great but ultimately flawed experience. I like some of the tracks alot and they fit in with the game world. Although Vanille and Hope can bug off. @themcnoisy At least Vanille had some redeeming qualities whereas Hope was a lost cause. Anyway nice review @ryoutak. @Reanfan You don't like the FFIV sub-series, kupo? Great review once again @ryoutak!